The origin of the Seven Wonders of the World dates back to antiquity. Initially they comprised only man-made structures. Meanwhile also seven natural phenomena are considered a wonder of the world and a recognised as such internationally. 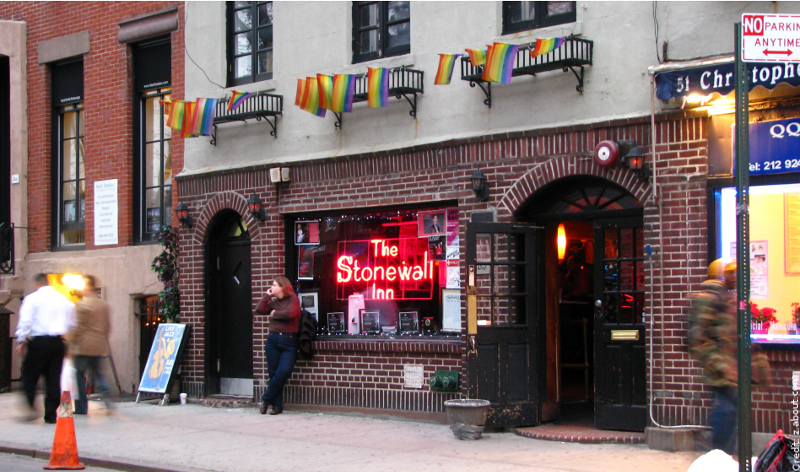 Although I’ve never been there – Sorry – StoneWall Inn is on top of my list of my own seven wonders of the world. The reason for this is clearly the Stonewall Riots, which were “instigated” by courageous LGBTs in and around Stonewall Inn on Christopher Street. Without this milestone of lesbian and gay movement, we would not have achieved as much in the fight for equal treatment and recognition as we have done so far. The StoneWall Inn is a queer place of worship for me. I’m going to visit it next year – Yeah! The Eiffel Tower is closely linked to one of my most beautiful trips. This beautiful work of art always invites you to the city of love. I’ll never forget the day I visited it with my partner. We stayed up there for several hours until sunset. The view in all directions, the wind caressing our noses, the impressive sunset and the swaying of the spire – all lasting impressions for us. 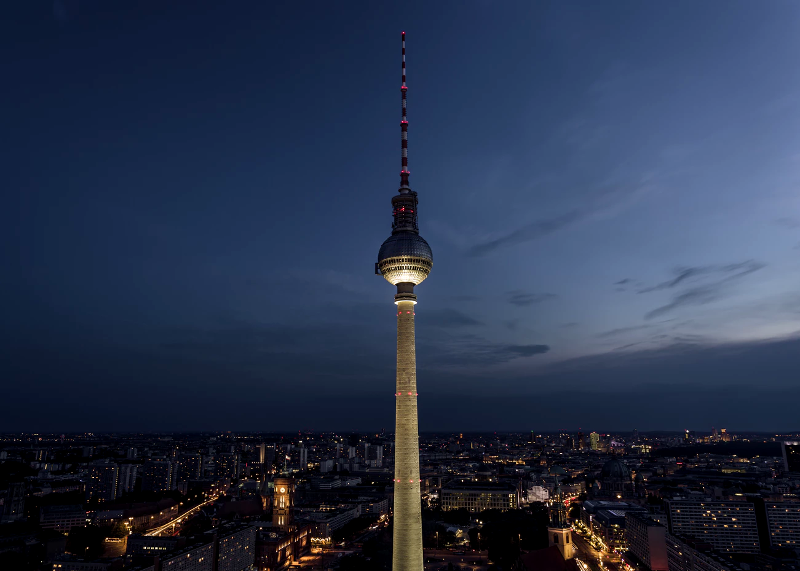 The Berlin TV Tower is completely different to the Eiffel Tower, which is why it is one of my seven wonders of the world. If only because it impressed me by its history. It was built in a record time of only a few years. The highlight of the TV tower for me is the restaurant one floor up from the visitor platform. Not because the food is particularly amazing, no. But because I love to be in the revolving restaurant without having to get up to catch the 360 ​​degree panorama of my city. 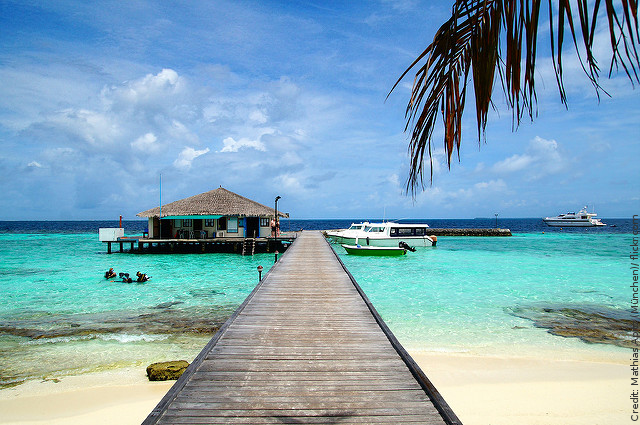 In Part II of my blog, I will report why, for example, the Maldives are among my personal wonders of the world. Der Ursprung der Sieben Weltwunder reicht bis in die Antike zurück. Anfänglich umfassten sie von Menschen erschaffene architektonische Bauwerke. Mittlerweile gibt es auch sieben Naturerscheinungen, die international als Weltwunder gelten. Neben den international angesehenen 7 (bzw. 14) Weltwundern, denke ich, hat jeder Backpacker oder Reisefan seine ganz persönlichen sieben Weltwunder: Orte oder/ und Bauwerke, die entweder mit einzigartigen Erinnerungen an eine Reise verbunden sind oder die beim bloßen Gedanken an sie spontan eine großes Fernweh hervorrufen. Heute berichte ich euch, welche persönlichen sieben Weltwunder auf meiner Liste stehen. Obwohl ich bisher – LEIDER – noch nie dort war, steht das StoneWall Inn an erster Stelle auf der Liste meiner eigenen sieben Weltwunder. Der Grund dafür liegt ganz klar in den Stonewall Riots, die in der Christopher Street im und vor dem Stonewall Inn von mutigen LGBTs “angezettelt” wurden. Ohne diesen Meilenstein der Lesben- und Schwulenbewegung hätten wir im Kampf für Gleichbehandlung und Anerkennung nicht so viel erreicht wie wir bisher schon geschafft haben. Das StoneWall Inn gilt für mich als queere Kultstätte. Im nächsten Jahr werden ich sie endlich besuchen – Yeah! Den Eiffelturm verbinde ich mit einer meiner schönsten Reisen. Dieses anmutende Kunstwerk lädt immer wieder ein in die Stadt der Liebe. Den Tag, an dem ich ihn gemeinsam mit meinem Partner besuchte, werde ich nie vergessen. Wir verweilten dort oben mehrere Stunden bis zum Sonnenuntergang. Der Blick in alle Himmelsrichtungen, den Wind um die Nase, das beeindruckende Abendrot und das Schwanken der Turmspitze – alles bleibende Eindrücke für uns. Der Berliner Fernsehturm ist völlig anders als der Eiffelturm und genau deshalb zählt er auch zu meinen sieben Weltwundern. Schon allein deshalb, weil mich seine Entstehungsgeschichte beeindruckt. Er wurde in einer Rekordzeit von nur wenigen Jahren errichtet. Das Highlight des Fernsehturms ist für mich das Restaurant über der Besucherplattform. Nicht, weil die Speisen besonders gut zubereitet werden, nein. Sondern weil ich es liebe, im Drehrestaurant ohne aufstehen zu müssen das 360-Grad-Panorama meiner Stadt zu betrachten. Auf die Inselgruppe bzw. -kette reiste ich vor einigen Jahren. Ich war überwältigt von dem türkisfarbenen Wasser. Ein derartig “tropisch eingefärbtes” Wasser real zu erleben, flashte mich extrem. Vom Schnorcheln ganz zu schweigen, bei dem ich Bekanntschaft mit einem Baby-Hai schloss. *Wow* Nicht zuletzt zählen die Malediven zu meinen Weltwundern, weil deren Existenz durch den Meerespiegelanstieg bedroht bzw. ungewiss ist. Die meisten meiner Reiseziel waren bisher Großstädte. Seit jeher liebe ich es, mich dort mit den Öffis fortzubewegen, da ich währenddessen in das Leben vor Ort eintauche. Am liebsten nutze ich die U-Bahn, falls es in der jeweiligen Stadt eine gibt. Klar, das System U-Bahn ist jetzt kein klassischer Ort oder klassisches Bauwerk. Stattdessen fasziniert mich das U-Bahn-Fahren selbst. Und ohne die Ingenieure von “damals”, welche das U-Bahn-System entwickelten, wäre dieses Erlebnis nicht möglich. Damit gilt für mich das System U-Bahn zu meinen sieben Weltwundern. 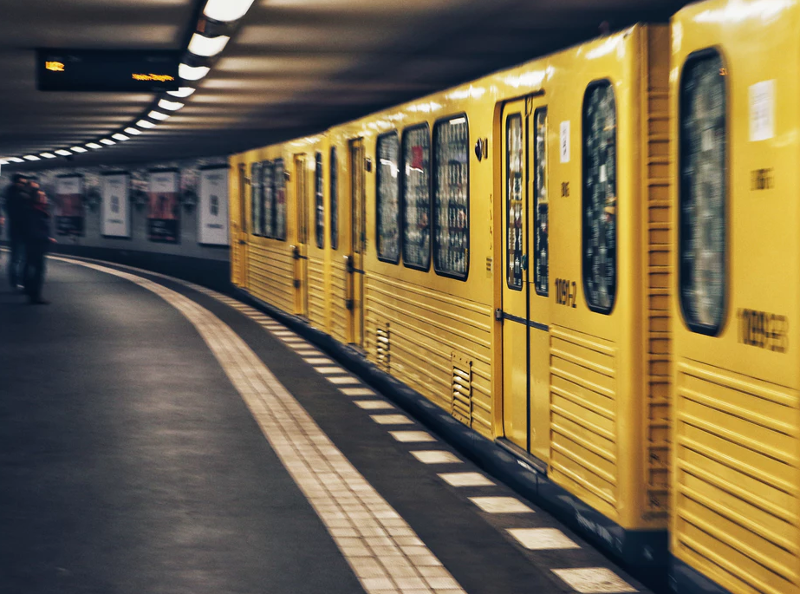 Ein cooler Titel über die U-Bahn in meiner Stadt Berlin: Oliver Koletzki – U-Bahn. Ebenso wenig wie ich bisher in NYC im Stonewall Inn war, besuchte ich das MoMa. Allerdings hatte ich das groooooße Glück, wie andere Kunstliebhaber auch, im Jahr 2004 das MoMa in Berlin in der Neuen Nationalgalerie zu besuchen. Meine Wartezeit von knapp vier Stunden nahm ich dafür ohne Weiteres in Kauf. Endlich das Ticket bekommen, verbrachte ich Stunden in der einzigartigen Ausstellung. Ich konnte mein Lieblingswerk – Persistance de la mémoire von Salvador Dalí (1931) – live und im Original betrachten (für Stunden). Ein absoluter Höhepunkt für mich, weswegen das MoMa einen sicheren Platz auf der Liste meiner sieben Weltwunder hat. 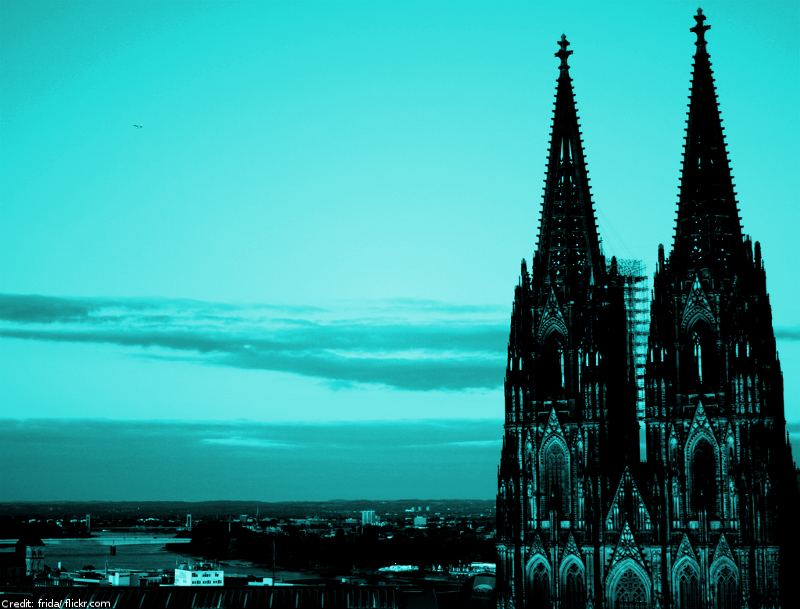 Obwohl ich Atheist bin, gibt es dennoch einige wenige kirchliche Bauwerke, dessen Anmut auch ich mich nicht entziehen kann: der Kölner Dom ist eines dieser Bauwerke. Nicht nur das Bauwerk an sich, sondern vielmehr die andächtige und erhabene Atmosphäre im Innern, welche von seinen “Mauern” ausgeht, machen ihn für mich so besonders. Besonders zur Geltung kam für mich diese Stimmung zu einer Mitternachtsmesse. Now, at the beginning of the last month of the year, it’s just the right time to think about and plan where to spend the New Year. New Year’s Eve is one of the biggest and most exciting events in the world. The solemn transition from the past to the future is the opportunity to be in the thick of it and to welcome the year 2018. Many cities and hotspots around the world want to offer their guests an unforgettable New Year’s Eve on the last day of the year. For those of you who are having a hard time deciding on where to spend New Year’s Eve this year, ebab did some research. Below we recommend you five cities where you can experience a unique New Year’s Eve. The biggest party of the year in Rome takes place in Piazza del Popolo on New Year’s Eve, with fireworks and local pop bands playing in front of a large crowd. You can also spend an unforgettable New Year’s Eve in other locations in Rome. For example, during a free concert at the Circus Maximus or at a dance party around the Coliseum. Do not forget that traditionally, after midnight, lentils are eaten to bring prosperity in the new year. Even more important is the custom of wearing red underwear on New Year’s Eve in order to be rewarded with health, happiness and love. The locals traditionally spend New Year’s Eve with their families and close friends. Nevertheless, Barcelona has been an exceptional place to start the new year for several years. 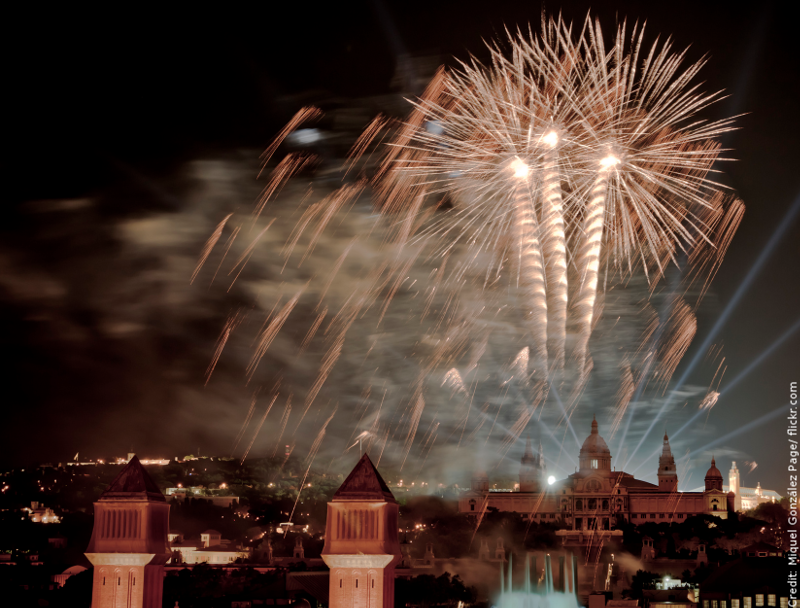 Plaza España hosts a huge New Year’s Eve party. There are concerts and fireworks, and of course, the tradition comes with the 12 grapes – “The twelve grapes of luck”: at midnight, a grape is eaten at each stroke of the clock, one for each month. Who has eaten all 12 grapes after the twelfth strike will be particularly lucky in the new year. Berlin is a fascinating city that never sleeps throughout the year. 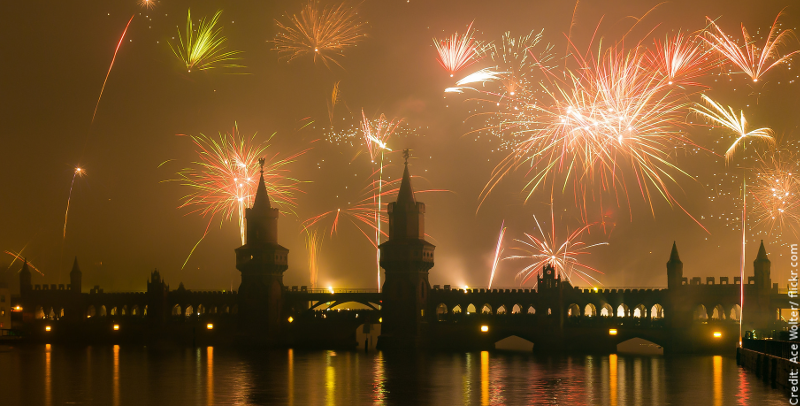 Thus Berlin will certainly not disappoint you on New Year’s Eve. The Brandenburg Gate area is the largest stage in the city, where there are concerts, fireworks, light shows and street food from all over the world. After midnight, Berlin’s largest open-air party begins on Pariser Platz. You also have a breathtaking panorama from Oberbaumbrucke. The biggest event taking place on New Year’s Eve in London is the city’s official fireworks display. This huge celebration attracts around 250,000 spectators to the banks of the Thames. The entire city vibrates and it resembles a spetacular festival. Tickets for the best viewpoints for the fireworks should be bought in time. 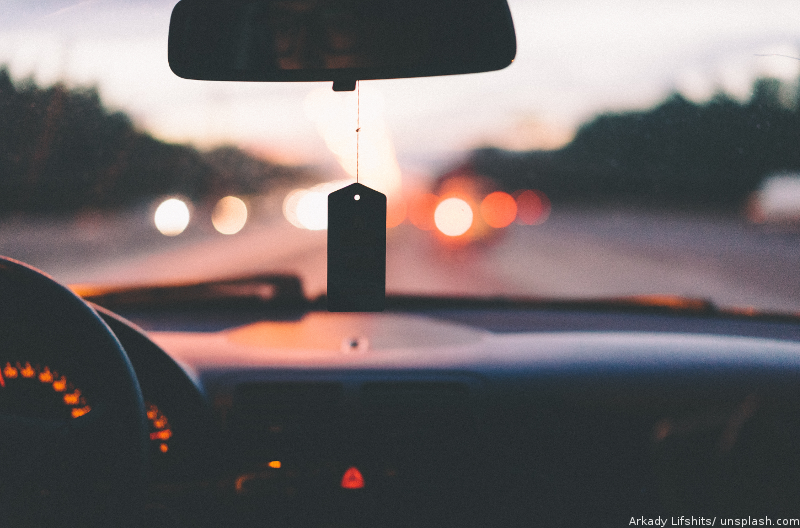 Drive to Copenhagen to celebrate the New Year like a true Dane. Watch the Queen’s New Year’s message on television at 18h00, during which the streets are completely empty for 15 minutes. 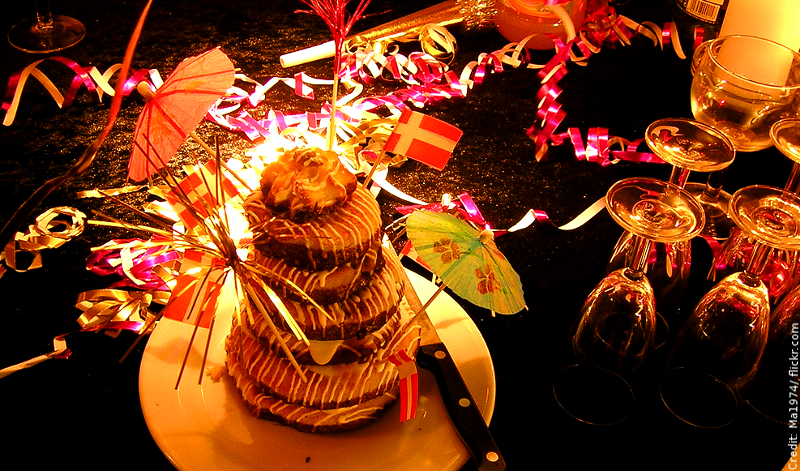 At midnight listen to the 12 strikes of the town hall’s clock, then sing the national anthem and enjoy a piece of the traditional marzipan cake “Kransekage”. Then the great fireworks start to greet the new year. And if you fancy Tivoli, you can stay there until 10 pm on New Year’s Eve. All the cities we recommend in this post have one thing in common: in addition to the official New Year’s Eve parties, you can also opt for a party in one of the many gay clubs. Rome offers you the club “Muccassassina”, in Barcelona the “input” is a hotspot, in Berlin you can find e.g. 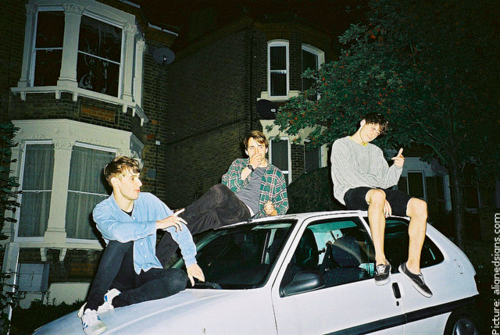 the “SchwuZ” or the “Dirty Hobby”, London is known for “Dalston Superstore” and in Copenhagen, for example, a party is rising in “NeverMind”. Jetzt, zu Beginn des letzten Monats des Jahres, ist genau der richtige Zeitpunkt darüber nachzudenken und zu planen, wo du den Jahreswechsel 2017/ 18 verbringen willst. Die Silvesternacht ist in aller Welt eines der größten und spannendsten Events. Der feierliche Übergang von der Vergangenheit in die Zukunft ist die Gelegenheit schlechthin, mittendrin zu sein und das Jahr 2018 gebührend zu begrüßen. Viele Städte und Hotspots auf der ganzen Welt wollen ihren Gästen am letzten Tag des Jahres einen unvergesslichen Silvesterabend bieten. Für diejenigen unter euch, denen die Entscheidung schwerfällt, an welcher Destination ihr in diesem Jahr Silvester verbringen wollt, hat ebab recherchiert. Im Folgenden empfehlen wir euch fünf Städte, in denen ihr eine einzigartige Silvesternacht erleben könnt. Die größte Party des Jahres in Rom findet an der Piazza del Popolo zu Silvester statt, mit Feuerwerk und lokalen Popbands, die vor einer großen Menschenmenge spielen. Du kannst auch an anderen Orten in Rom eine unvergessliche Silvesternacht verbringen. Zum Beispiel während eines kostenlosen Konzerts im Circus Maximus oder bei einer Tanzparty um das Kolosseum. Vergiss nicht, dass traditionell sofort nach Mitternacht Linsen gegessen werden, um im neuen Jahr für Wohlstand zu sorgen. Noch wichtiger ist der Brauch, in der Silvesternacht “unten drunter” rote Unterwäsche zu tragen, um mit Gesundheit, Glück und Liebe belohnt zu werden. Die Einheimischen verbringen den Silvesterabend traditionell bei ihren Familien und engen Freunden. Dennoch ist Barcelona seit einigen Jahren ein außergewöhnlicher Ort, um in das neue Jahr zu starten. Auf dem Plaza España findet eine riesige Silvesterparty statt. Es gibt Konzerte und Feuerwerk, und natürlich kommt die Tradition mit den 12 Weintrauben – „Las doce uvas de la suerte” (engl. “The twelve grapes of luck”) – nicht zu kurz: um Mitternacht wird bei jedem Glockenschlag eine Traube gegessen, eine für jeden Monat. Wer nach dem zwölften Schlag alle 12 Trauben aufgegessen hat, wird im neuen Jahr besonders viel Glück haben. Berlin ist das ganze Jahr über eine faszinierende Stadt, die niemals schläft. So wird dich Berlin auch zu Silvester nicht enttäuschen. Das Brandenburger Tor wird zur größten Bühne der Stadt, wo es Konzerte, Feuerwerk, Lichtshows und Street Food aus aller Welt gibt. Nach Mitternacht beginnt auf dem Pariser Platz die größte Open-Air-Party Berlins. Ein atemberaubendes Panorama bietet auch die Oberbaum-Brücke. Das größte Event, das an Silvester in London stattfindet, ist das offizielle Feuerwerk der Stadt. Diese riesige Feier lockt rund 250.000 Zuschauer an die Flussufer der Themse. Die gesamte Stadt vibriert und sie ähnelt einem spetakulären Festival. Tickets für die besten Aussichtspunkte für das Feuerwerk sollten rechtzeitig gekauft werden. Fahre nach Kopenhagen, um das neue Jahr wie ein echter Däne zu feiern. Schaue die Neujahrsansprache der Königin im Fernsehen um 18:00 Uhr, während der die Straßen für 15 Minuten völlig leer sind. Höre um Mitternacht auf die 12 Glockenschläge der Rathausuhr, singe dann die Nationalhymne mit und genieße ein Stück der traditionellen Marzipan-Torte “Kransekage”. Anschließend startet das tolle Feuerwerk, um das neue Jahr zu begrüßen. Und wer vorher noch Lust auf den Tivoli hat, kann dort bis 22 Uhr verweilen. Alle in diesem Post von uns empfohlenen Städte haben eine Gemeinsamkeit: neben den offiziellen Silveyterparties kannst du dich selbstverständlich auch für eine Party in einer der vielen Gay Clubs entscheiden. Rom bietet dir z.B. den Club “Muccassassina”, in Barcelona ist das “Input” ein Hotspot, in Berlin findest du u.a. das “Schwuz” oder das “Schmutzige Hobby”, London ist bekannt für “Dalston Superstore” und in Copenhagen steigt beispielsweise im “NeverMind”eine Party. Ein Trip nach Hamburg, St. Georg: weder mit Bus noch Bahn, sondern wie ich es mag! Obwohl ich Berlin wirklich über alles liebe, packt mich hin und wieder die Lust, einen Trip gen Norden nach Hamburg, besser gesagt nach St. Georg, zu unternehmen. Bitte verzeih mir, mein Berlin, doch mit dem maritimen Feeling Hamburgs kannst du einfach nicht mithalten. Sei nicht traurig, DU bist mein Paradies – nicht Hamburg. Mein letzter „Seitensprung“ nach St. Georg liegt noch gar nicht so lang zurück; etwa vier Wochen. Vor Reiseantritt stellte sich natürlich die Frage: „Steven, wie kommst du am besten von Berlin nach Hamburg?“ Mit der Bahn? – Nein Danke, auf Pseudopünktlichkeit zu Luxus-Preisen kann ich verzichten. Oder mit dem Fernbus? 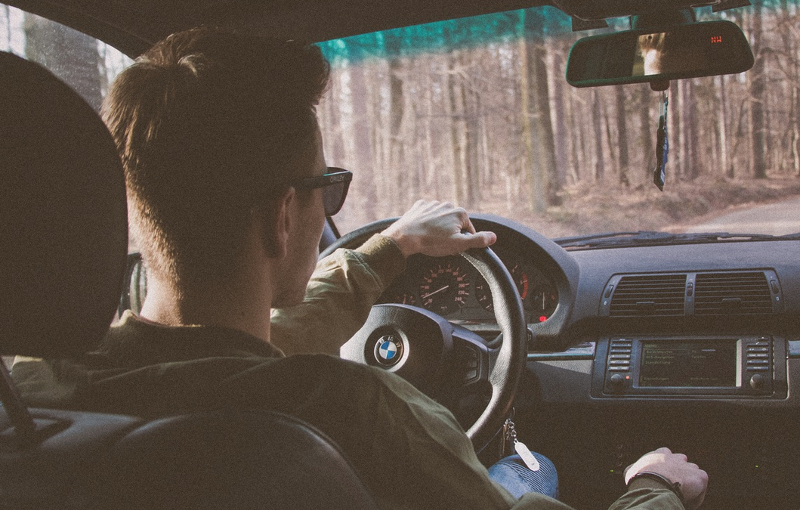 – Ebenfalls nix für mich. Wie Fischstäbchen, die ich wirklich gern esse, in der Pappschachtel zusammen gequetscht halte ich es keine fünf Minuten aus, geschweige denn mindestens drei Stunden, die der Fernbus für die Strecke Berlin-Hamburg benötigt. Und was nun? Alles kein Problem – es gibt ja BesserMitfahren.de!!! Habt ihr schon etwas davon gehört? Für die wenigen 😉 unter euch, die BesserMitfahren.de noch nicht kennen sollten: das ist die erste Mitfahrbörse, bei der nicht nur Fahrten von Frauen für Frauen, sondern auch Fahrten von Männern für Männer eingetragen und gefunden werden können. Da ich schon immer am liebsten mit Mitfahregelegenheiten unterwegs bin und auch kein Bock auf Abzocke durch Großkonzerne habe, nutze ich seitdem BesserMitfahren.de. Zumal dort alles ohne nervige Registrierung und ohne Gebühren funktioniert, sozusagen Mitfahrgelegenheit 1.0 – total easy und mit direktem Kontakt zum Fahrer/in, also: back to the roots. So nutzte ich BesserMitfahren.de selbstverständlich auch für meinen letzten Trip Mitte Januar nach Hamburg. Ich fand zwar keine direkte Fahrt bis nach St. Georg, doch dafür einen netten Fahrer mit lässigem Fahrstil, der uns alle sicher und entspannt zum Hamburger Hauptbahnhof fuhr. Von dort bis zu meinem ebab-Lieblingszimmer in St. Georg (VOAN4-1) ist es nicht wirklich weit. Ich verbrachte eine schöne Zeit in Hamburg… doch nach ein paar Tagen Hamburger Meeresluft wurde die Sehnsucht nach Berlin immer stärker. 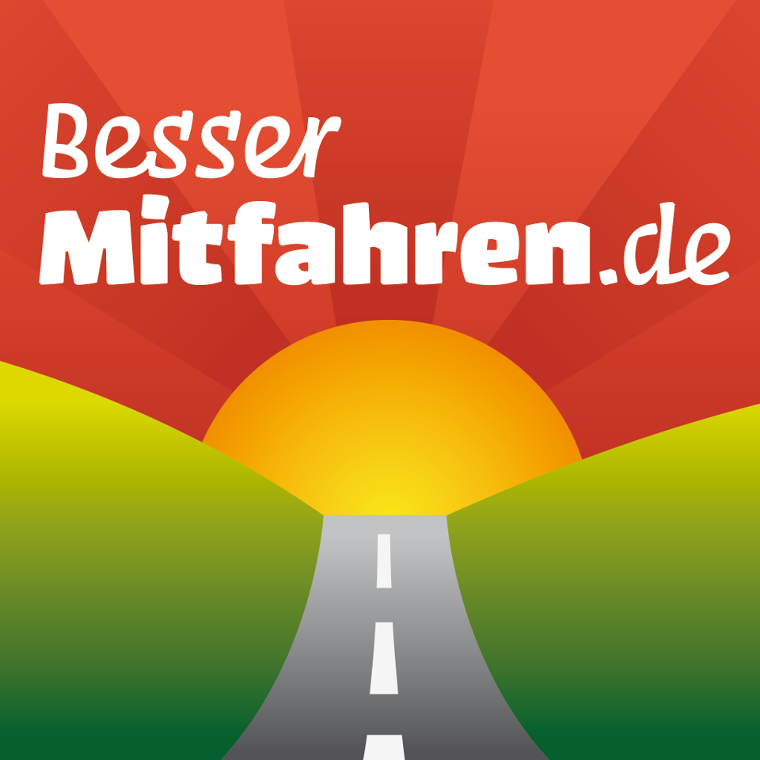 Ich suchte mir wieder eine Mitfahrgelegenheit auf BesserMitfahren.de und trat meine ebenso relaxte Heimreise an. Für alle, die ihr nun neugierig geworden seid, kann ich BesserMitfahren.de absolut als Alternative zu Bus und Bahn empfehlen, um das nächste Mal zu eurer gebuchten ebab-Unterkunft zu reisen.